When Gary's parents asked us what we wanted for Christmas, we had a really hard time deciding what to tell them. Then, one day I was driving home and it hit me. What we could use the most was a kitchen island. One of the things I love most about my house is the huge kitchen. 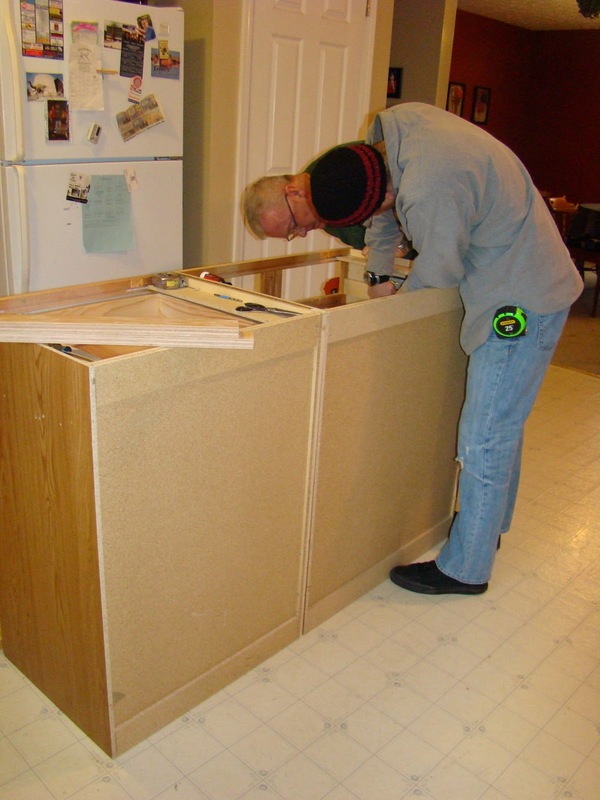 Unfortunately, as much floor space as the kitchen has, it has very little countertop. We don't really need a lot of storage, but I'll be happy to have the extra storage. 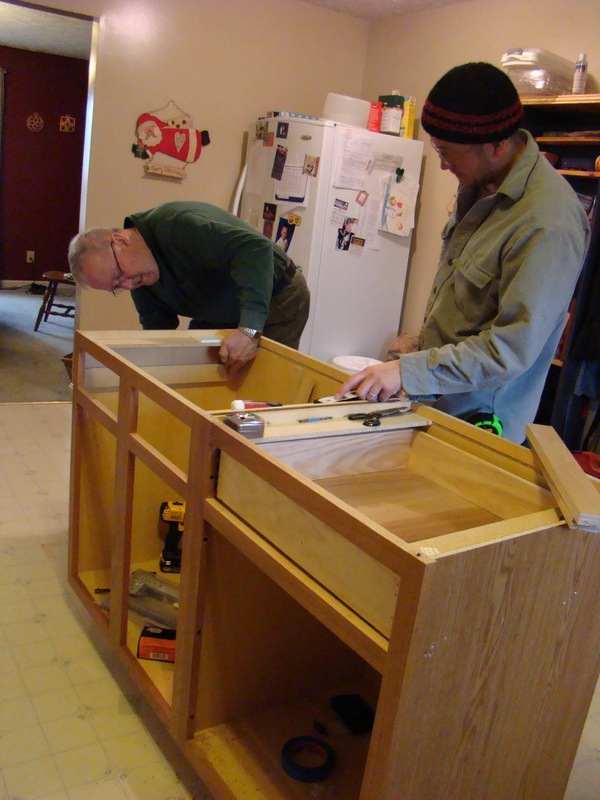 We'll put our food storage, wheat and oats, which are in 5 gallon buckets, in these cabinets. It will also have a bar and barstools. I am so thankful for this gift. Plus, it gave Dad something to do while he is here. If only I could put Mom to use too. That's pretty cool. Good for you for speaking up on what you really wanted.